He has either been in, on or around water nearly all his life, so it’s no surprise that water is where Michael Amster, M.D., director of the NorthBay Center for Pain Management, heads when he needs to unwind. Knowing how to read water is an important skill for river rafting guides, and that is yet another water-related hobby he has mastered. 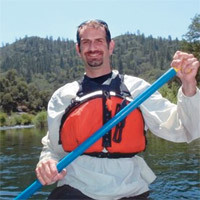 Dr. Amster was introduced to river rafting as an undergraduate at the University of California, Santa Cruz. When he came to UC Davis for his residency, he joined the school’s Outdoor Adventures club and signed up to lead rafting trips on the South Fork of the American River. He started volunteering as a guide eight years ago, and leads as many as 10 trips a year. 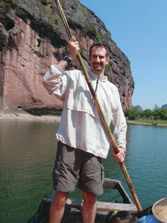 Dr. Amster plans to lead a number of trips this summer. To learn more, call (530) 752-1995, or go to http://campusrecreation.ucdavis.edu and click on the link to Out- door Adventures.